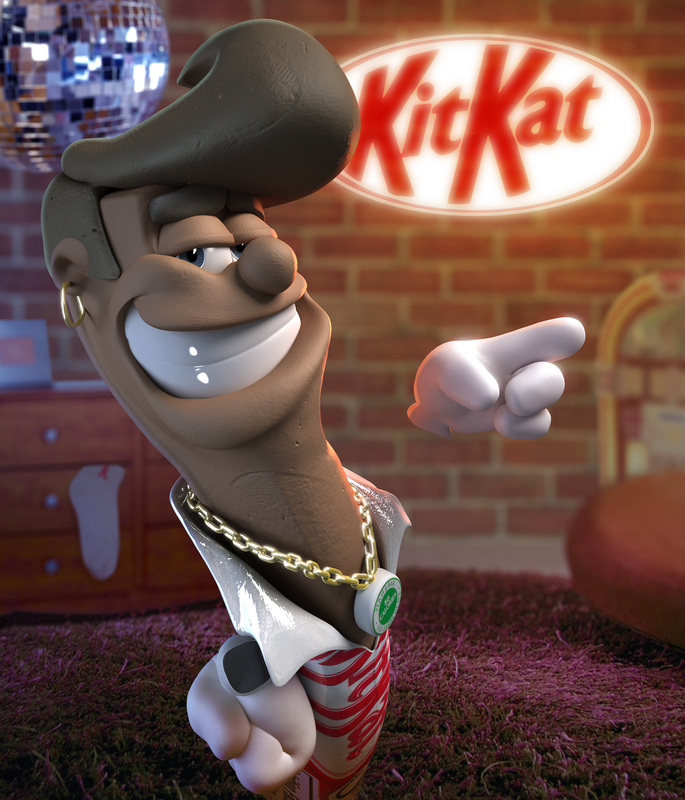 This is print ad produced at Hatch Studios Ltd. for Nestle “KitKat”. The purpose of this print was to simulate claymation with CGI effects. This was accomplished through the use of special techniques such as simulated clay sculpting in ZBrush and bump map detailing in 3dsmax. Details such as fingerprints embedded in the ‘clay’ were added to achieve a level of tactile photorealism. Modeled & Sculpted by Joel Mongeon. Textured, lit, rendered & composited by Richard Rosenman.